Sit back, relax, and enjoy the flight! Get the benefits of aircraft ownership without all the hassle. Put thousands of hours and over 100 years of aviation experience to work for you! Need pilots? We have them. 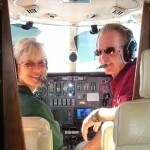 Let the Shoreline Team handle your flight crew staffing needs. At Shoreline Aviation Services, LLC, our executive staff consists exclusively of pilots with advanced ratings and additional specialized experience in everything from information technology to aircraft maintenance. Our backgrounds range from military aviation to international airline operations. Visit our wholly owned subsidiary, Shoreline Aviation Insurance, for all of your aviation & specialty insurance coverage needs. Our team of professional pilot/agents has the knowledge and experience to assist you with great aviation and specialty insurance coverage!